SHIELDS Compton Family Preservation Network provides high-risk DCFS and Probation referred families with intensive case management, home visits, and other services to reduce the risk of abuse and out-of-home placements. SHIELDS has been providing Family Preservation services to families in South Los Angeles since January 1992 as one of the original nine Family Preservation programs in Los Angeles County. Our current collaborative project in the Watts/Compton area is called the Compton Family Preservation Network (CFPN), and is a collaborative effort between SHIELDS and three core partners who strive to improve quality of services and supports for at-risk families. Since implementation, the CFPN has provided collaborative, community-based family preservation services to DCFS and Probation families referred for Alternative Response or Family Preservation Services in order to ensure that (1) children remain free from abuse and neglect; (2) children achieve permanency through reunification, adoption, and guardianship, and (3) children improve their level of functioning in the areas of physical, emotional, social, education, cultural and spiritual development. SHIELDS’ CFPN program provides both Alternative Response services and Voluntary Family Preservation services. Alternative Response services are provided to (1) families that have an inconclusive child abuse or neglect allegation who are in need of support services; and (2) families that have a substantiated low-to-moderate risk closed referral for a child abuse or neglect allegation who are in need of support services. Voluntary Family Preservation services are provided to (1) families in the DCFS/Probation systems with a child(ren) who has been neglected or abused and who are at imminent risk of placement in out-of-home care; and (2) families with child(ren) in out-of-home placement who may be safely returned sooner, as ordered by the court, if family preservation services are provided. Our services strengthen families through comprehensive and collaborative services including in-home outreach counseling, individual, family and group counseling, therapeutic day treatment, child-focused activities, Teaching and Demonstrating Homemaking services, emergency auxiliary funds, and linkage and referral services. ACT/PFF utilizes a unique model of co-location, with all partner staff housed at one site in the community. 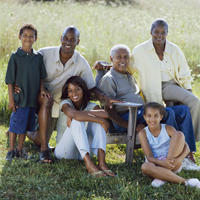 In-Home Outreach Counseling is the core service for the Family Preservation Program. The In-Home Outreach Counselor (IHOC) works with families in their homes to address individualized service plan goals and objectives and assists the family with any challenges or barriers in accomplishing the tasks identified. Individual, group and family counseling services are designed to provide face-to-face psychotherapeutic intervention for the purpose of (1) identifying and assisting in solving family problems; (2) identifying substance abuse and refer for treatment; (3) addressing and treating domestic violence or anger management issues; and (4) identifying personal, vocational and educational goals. Therapeutic Day Treatment services are provided to approved Probation youth. Services include (1) formal education in a non-public school; (2) group counseling; (3) individual counseling; (4) in-home family counseling. Child-Focused Activities are age-appropriate activities designed to enhance a child’s growth and development that are offered at the same time the parents are receiving other family preservation services, such as parenting classes. Teaching and Demonstrating Homemaking services are provided to families in order enhance their skills in successfully managing and maintaining a home including, but not limited to, home safety, cleanliness, meal planning, and budgeting. Auxiliary funds are used to purchase approved items, including emergency goods and services, that are consistent with the goals and objectives established in the family’s service plan. Finally, SHIELDS’ CFPN utilizes existing community-based collaborators to provide services to families that are not available through the program’s resources. This includes linkage and referral to additional child care, health care, substance abuse and mental health treatment programs at SHIELDS and other community-based providers, and to our collaborative networks that provide housing, food, clothing, and transportation for those in need. SHIELDS’ CFPN is provided in collaboration with three core partners. SHIELDS serves as the lead agency, while the Institute for Maximum Human Potential, Drew Child Development Corporation, and Project IMPACT work together to provide supplemental child welfare services. The CFPN is funded by the Department of Children and Family Services (DCFS). SHIELDS and the Compton Regional Office of DCFS work closely to provide CFPN services. The success of the CFPN has been based upon the collaborative efforts of the Network members and Department representatives that have continued to meet and work together to resolve concerns, develop resources, and improve upon service delivery. Since implementation, SHIELDS has conducted over 6000 assessments, and over 9,000 children have been able to stay in their homes, resulting in the reduction of out-of-home placement by 62%. Based on our annual evaluation reports, approximately 90% of all families served have been successful in accomplishing their established goals and unification or reunification. In 2004, SHIELDS piloted the Up-Front Assessments program in conjunction with the Compton Regional Office of DCFS. Because of our successes, the Up-Front Assessment process has become standard procedure for the Department and is now utilized County-wide.